Newton-Conover High School is a proud charter of The National Technical Honor Society. 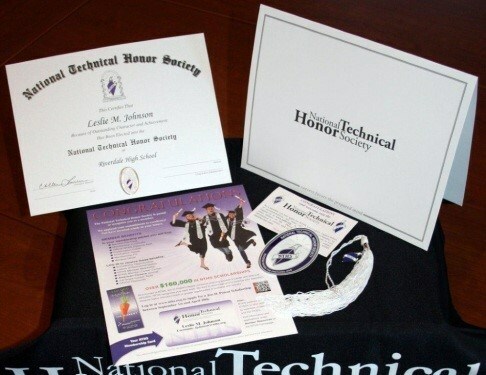 The mission of the National Technical Honor Society is to honor student achievement and leadership, promote educational excellence, and enhance career opportunities for the NTHS membership. Newton-Conover High School became a recognized National Technical Honor Society chapter in 2001. It is among 3,700 charter schools and colleges with more than 50,000 students enrolled in vocational and technical education each year. 1) Must have taken and passed 3 CTE courses. We will review your schedule if you are scheduled to take CTE courses in future. 3) 90% or above attendance record. 4) Submit one teacher recommendation using the NTHS Teacher recommendation form. 5) Demonstrate critical workplace values, honesty, technical skills, teamwork, loyalty, initiative, leadership and commitment to personal and professional excellence. 1) Participate in National Technical Honor Society events. 2) Attend monthly meetings. A schedule of dates will be given to all new members. *Members can be dropped from the National Technical Honor Society if a GPA of 3.5 or higher is not maintained and attendance criteria are not met. • Member discounts for GEICO, STEM Premier and more. For additional information, contact Mr. Palozzi at angelo.palozzi@n-ccs.org Newton-Conover’s National Technical Honor Society Advisor. Congratulations to all inductees into the National Technical Honor Society!